Fizz Free February is almost upon us. 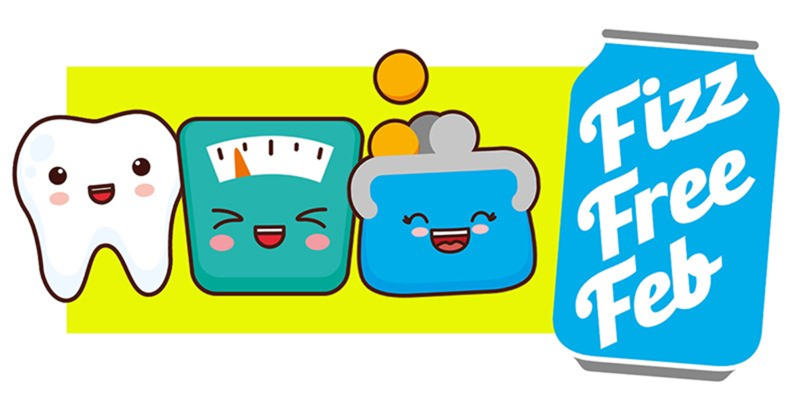 It's a national campaign, which was established by Southwark Council in 2018, to encourage people to give up fizzy drinks for the whole month of February. I'm backing it because fizzy drinks are the largest single source of sugar for children aged 11-18, and they provide an average of 29% of daily sugar intake. Excess sugar is a real problem in the UK and leads to development of unhealthy fat and weight gain, which in turn increases the risk of heart disease, type 2 diabetes, stroke, some cancers, and tooth decay. Of course, Fizz Free February is just the start. Once you've seen how easy it is to cut out fizz for a month, the hope is you'll look to cut down added sugar in your diet for good. You can find a useful FAQ here. You can also download a calendar and editable poster. Can Ruth update you about campaigns and news by email?